In June 2019, Manchester Raise and Give (RAG) is collaborating with Choose a Challenge and The Children’s Society to take on the Three Peaks Challenge. Manchester RAG will connect with other universities and together the students will conquer one of Britain’s toughest challenges. It is a whirlwind adventure of climbing the three highest mountains in the UK. The excursion involves trekking 25 miles, climbing over 1,500 metres, and running on as little energy as four hours sleep. Conquering the three mountains back-to-back; the group begins with Ben Nevis in Scotland. It is the highest mountain in the British Isles, standing at 1,345 metres above sea level. The second mountain is Scafell Pike in the picturesque Lake District. Finally, the group finishes with Snowdon in Wales. Scafell Pike is the smallest of the Three Peaks but it is still a great challenge, having the steepest and toughest terrain. 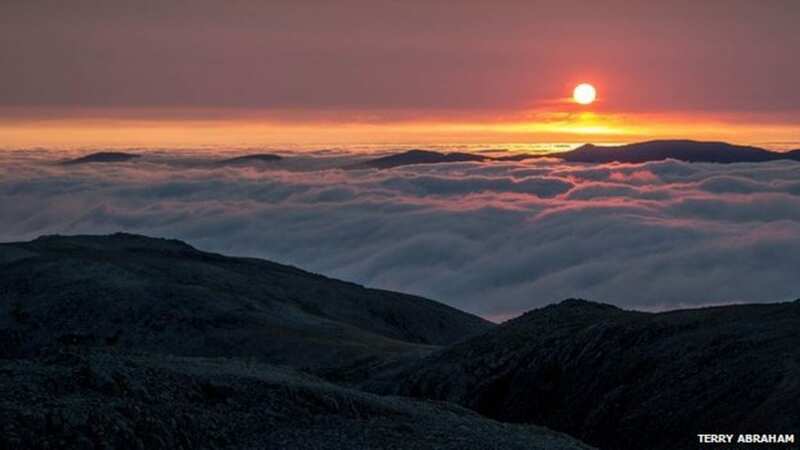 The group will hike Scafell during the early hours of the morning. Trekking in the dark with a head torch will elevate the difficulty of navigating the paths and boulders. However, efforts will be rewarded with the magical sight of sunrise over the Lake District as the group begins the descent. It is certain that feelings of exhaustion will be evident by this stage. You will complete two out of the three peaks at the halfway time mark. And then a pint at the summit pub of Snowdon will be deserved on completing the final hike! The Three Peaks is not for the faint-hearted and training is essential beforehand. It is unrealistic to expect to complete the challenge without some adequate training. Therefore, I recommend you try a test weekend of walking around eight hours per day for two days. Anyone can get involved in the challenge, but must be prepared to undertake a trip that is undoubtedly mentally and physically exhausting but is also extremely fulfilling. The University’s partner charity for the challenge is The Children’s Society. The organisation does vital work in improving the lives of vulnerable children and young people across the UK. This year, the fundraising target of £600 will go a long way towards the charity’s attempts in helping children across Britain. Their work involves supporting victims of sexual and criminal exploitation, trafficking; supporting young carers, refugees and migrants; providing children with access to mental health care; ending child poverty. Although the fundraising target seems daunting, The Children’s Society offers step-by-step support and guidance to their student fundraisers as they embark on their first challenge of raising the money. The fundraising will make a positive impact on the lives of young people. But the hike itself will push personal boundaries and create unforgettable memories in the UK’s most beautiful scenery. Third-year History Student, Piers Hinton, is Manchester RAG’s challenge leader for the Three Peaks. His role involves several key responsibilities from supporting the team with fundraising targets. In addition, he liaises with the challenge provider and charity representative, as well as overseeing the smooth-running of the process. Climbing, connecting, fundraising. Is 2019 your year to take on The Three Peaks Challenge? There’s still time to get involved in the challenge. You can find out more information on the Manchester RAG Facebook page. So, send a message and the team will be more than happy to help. There will be an information drop-in session on Friday 15th February from 1-3pm in the Hive in the Students’ Union, come along to find out more!